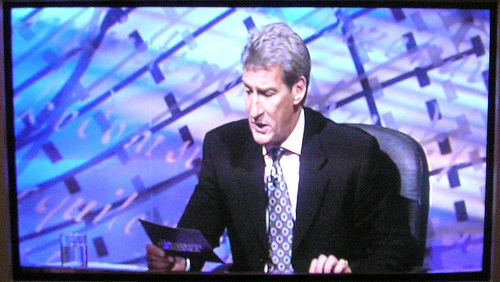 That’s akin to asking who composed Eine kleine Nachtmusik, and rejecting the answer “Wolfgang Amadeus Mozart” because the card read “Just Mozart.” Of course, everyone makes mistakes, and it should be no surprise that the question master makes a few given the breadth of subjects on display, but Paxman’s general manner makes it difficult to forgive him on this account. Paxman quite happily berates students for not knowing things in his particular field, or indeed for having any knowledge of popular culture, God forbid. In addition, as most people know, the show is filmed and edited in one continuous performance, and might last an hour rather than the televised half an hour. Plenty of time for someone to prevent such rediculous answers from being aired. As someone has already commented, this isn’t the first time such a poor mistake has been made, and no doubt neither will it be the last, until someone finally stands up for themselves or Paxman is brought down a peg.